At one time, the proposal to portray Peter I himself on the canvas did not just touch, but really brought and made Serov literally obsessed with this idea. Before that, he had already turned to a different historical storyline, but this particular case had become unique. On the image of Peter I on the canvas Serov asked the leaders of one edition. In 1907, one popular publishing house of I. Knebel officially gave an order to Serov. 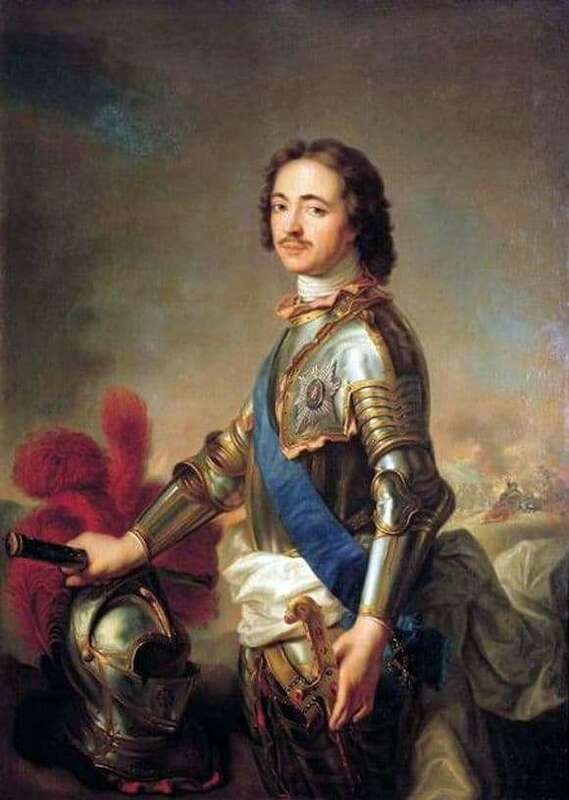 The essence of the order was simple – it was necessary not only to depict the king in the picture, but also to depict one or several of his merits in building and becoming Petersburg. The historical figure, which was famous for its many affairs, touched Serov and did not let him live in peace. Therefore, Serov, using his characteristic thoroughness, decided to capture not only the image of Peter I, who was ordered to him, in the picture, but to draw it with a real one. In other words, draw it not powdered and not embellished. Since Serov decided to thoroughly prepare for this work, he began to attend lectures, disappeared for hours and even days at the Hermitage and continued to do many more similar or similar preparatory work. All this opened up an excellent picture of the character and personality of this emperor before a talented artist of his time. And then Serov began to understand that the creation of the fleet, a lot of grand reforms and the victory over the forces of the Swedish army – all these and other events in which Peter I took part, should not have passed without victims and blood. Therefore, the master pen coped with the task perfectly. The picture came true from all sides. Here was marked one of the main moments of his life – reform, building and raising Russia from its knees. The customers accepted the work, and as a result it became one of the most significant today.